Sports Editor David Oliver has re-charged his laptop to deliver his Monday verdict after Saturday’s 1-1 draw with Partick Thistle. 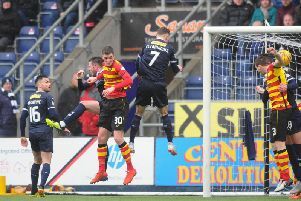 Falkirk could have done with a spark at Westfield on Saturday for the visit of Partick Thistle - on the pitch and off it. 16-03-2019. Picture Michael Gillen. FALKIRK. Falkirk Stadium. Falkirk FC v Partick Thistle FC. SPFL Ladbrokes Championship. Stuart Bannigan 8 and Davis Keillor Dunn 10. On it, there was a distinct lack of energy amongst the Bairns in a game which had big implications for the relegation zone. Off it there was a case of crossed wires in the press box as confusion reigned over repairs to the Stadium which had left plug-points sealed over, pre-match. Cynics among us suggested this was preparation for the scant supply of laptop electricity available in League One – so it was up to the Bairns to ‘socket’ to the Jags and go a long way to maintaining the club’s Championship status. 16-03-2019. Picture Michael Gillen. FALKIRK. Falkirk Stadium. Falkirk FC v Partick Thistle FC. SPFL Ladbrokes Championship. Paul Paton 6 at the end of the game. But like us 30 rows or so above them, they simply didn’t have the power. An energy-sapping trip to Dingwall in midweek seemed to be hanging over the Bairns and in a match that could have gone a long way to sealing safety in the Championship, the home side was very much below par, almost to a man. The scoreline mirrored the match at Firhill earlier this year with Falkirk again coming from behind the take a point. And the set-up was similar too, with Abdul Osman sent to patrol the area just infront of the Bairns defence. But he was marshalling no-one with the Jags switching selection and style with Joe Cardle and Blair Spittal on the wings and Scott McDonald through the middle. 16-03-2019. Picture Michael Gillen. FALKIRK. Falkirk Stadium. Falkirk FC v Partick Thistle FC. SPFL Ladbrokes Championship. Jordan McGhee 3 catches Miles Storey 19. 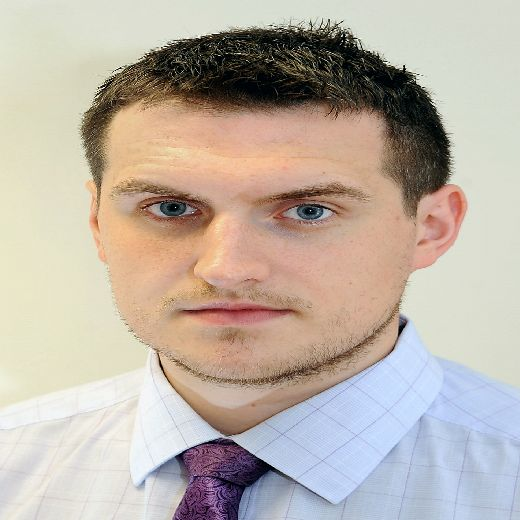 They doubled up on the right side and too often paul paton had to cope with two men. William Edjenguele and Ciaran mcKenna were tested for pace through the middle and, with the tired legs and seemingly tired minds – there was plenty to trouble the Bairns. Harry Burgoyne can be spared any criticism, while Zak Rudden’s typical work-rate and chasing in attack was probably the Bairns’ stand-out performance. They were just missing that spark that saw them dismantle Queen of the South, Ayr and Alloa and battle to points against Dundee United and Inverness. It was all a bit flat, and Ray McKinnon acknowledged that. 16-03-2019. Picture Michael Gillen. FALKIRK. Falkirk Stadium. Falkirk FC v Partick Thistle FC. SPFL Ladbrokes Championship. James Penrice 3 andZak Rudden 19 tangle. This weekend’s international break will do a lot to re-charge the batteries of those not selected for duty but for the likes of Rudden who has run his socks off for the cause and continues to just score goals, as he so memorably quipped, there is more football on the horizon. So too for the much-travelled Deimantas Petravicius who also looked off-colour after a shift and a half this week. 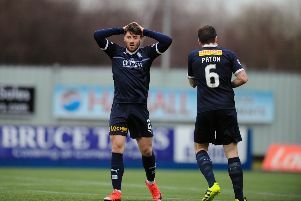 While Scott McDonald’s opener was fortunate, the one slick move the Bairns put together was slammed home by Ian mcShane, but all in all this was a struggle to play in and a struggle to watch and every bit the relegation dog-fight. The Bairns are capable of much more, but they’ll need to be more switched on against a better level of opposition now after passing up this opportunity to assume the initiative in the fight for safety against an uninspiring but dogged Partick side who, like them, are hanging in there. 16-03-2019. Picture Michael Gillen. FALKIRK. Falkirk Stadium. Falkirk FC v Partick Thistle FC. SPFL Ladbrokes Championship. Referee Mike Roncone books Paul Paton 6. 16-03-2019. Picture Michael Gillen. FALKIRK. Falkirk Stadium. Falkirk FC v Partick Thistle FC. SPFL Ladbrokes Championship. Sean McGinty 6 and Zak Rudden 19.